Engagement photos are incredibly important for one simple reason that many couples and even many photographers overlook. The few months couples are engaged for are their final moments together before they change the world. Yes that is right, change the world. You meet and fall in love, and then you marry. It is a beautiful thing. However, when two people marry they are doing more than celebrating their love for one another. A marriage is the uniting of two families who become one. A marriage is about creating a home for the children who will one day influence the world. A marriage, much like a rock that hits a still pond, has a ripple effect that affects everyone around them. Before all that change however, you are just two people in love. That love deserves to be celebrated and documented as it is because long after you are gone, these photos will be a preservation of the legacy of who you were and where your descendants came from. To have this moment in time forever preserved is priceless. Here are photos from one of our favourite engagement shoots with Allsyha and Christophe. 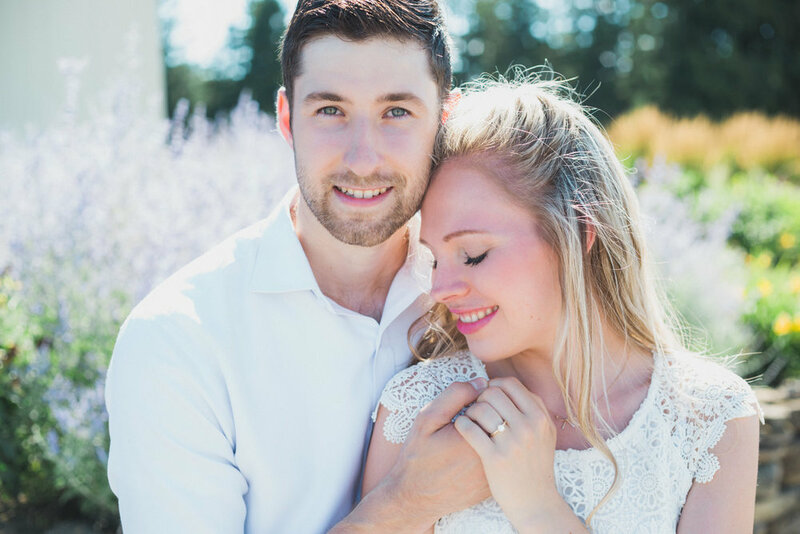 Engagement photography sessions are a great opportunity to reconnect with not only your partner, but with a place that is special to the both of you. Perhaps it is the park where you took a walk on your first date, or your favourite apple orchard that you visit every fall. These photos should take place in a location that feels authentic to who you are as a couple. You want to look back on these images and be able to feel that they highlighted both who you were and your way of life during that point in time. However, if you need help finding a location, we are here to help. When we sit down during our initial meeting we will address any questions or concerns you have. We are here to guide you through this process, and the choice of location is very important to us. It takes more than a camera and a creative eye to be a great wedding and engagement photographer. You have to be a great people person too. Between the engagement session and the wedding day, we spend some of the most important and intimate hours of your life with you. Meaning, it is imperative that we get along and that you feel comfortable in front of our camera. On a practice level, what an engagement session offers is the opportunity to spend productive time with your photographer so that you get to know each other before the wedding day. The last thing we want is to feel like a stranger to you. We want out clients to behave naturally and not clam up and freeze, and it is our job to create an environment that allows them to feel like themselves with us. Your engagement session should be fun, and we want to focus on those adorable moments. Kiss, hold hands, laugh like kids, it is all part of the experience. And do not be afraid to try something different with your hair, makeup or clothes. Many couples like to use their engagement session as a trial run for how they want to look on their wedding day. So have fun with it! Your love is uniquely yours, so let loose and let us focus on the rest.